Hudson's Bay Deal of the Day promotion is back this month! Discover a new sale every day! 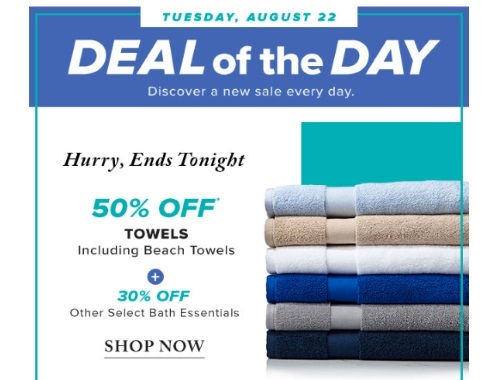 Today's deal is 50% off towels including beach towel and 30% off other select bath essentials. Offer is valid until 11:59pm ET tonight.